Over the course of my teaching career, I have had my students do a variety of things under the guise of creating or composing music. Too often, I have expected them to go further with composing than than I had prepared them to go. Part of the the problem for me was that I confused exploration, improvisation, and composing. While all three are ways of creating music, they are by no means all ways of composing music. So what exactly does it mean to compose music, and what skills are needed in order to compose music? My working definition of composing is to create music with a conscious intent to convey something to an audience, and to generate, select, and give form and structure to patterns of sounds that have specified duration and sometimes also specified pitch, and which can be made more expressive through the use of other musical elements such as articulation, tempo, meter, dynamics, phrasing, and timbre. Although it is not always apparent to every listener, composed music has a logic and structure to it that could only be the product of human invention, and it is the development and fostering of that human invention that is the goal of teaching music composition. Now let’s take some examples and see if they are of composing music. A child walks over to a toy piano or xylophone and begins banging on it. There is intentionality in what he or she is doing, and there are pauses that suggest the child is considering the sounds he or she just made, and perhaps also a conscious decision of what do to next. This activity is what Orff teachers would consider exploration. It is a valuable activity for very young children, and is certainly an example of creating music. It is not, however, an example of composing music, because it lacks an expressive intent. The child is just realizing they are able to produce these sounds by their own actions, and are experiencing them and manipulating them for the first time. They may like something they do and repeat it over and over again, but beyond liking it, it has not yet occurred to them to express something to others through the making of those sounds in the way they express unhappiness or hunger by crying. They are truly exploring. Once our child has explored for a period of time, he or she has learned to produce certain sounds that they like enough to want to produce again and again. This might be evident by the child frequently using one toy instrument while ignoring others, or it may be evident by the child repeatedly doing the same thing, like playing the higher notes but not the lower notes, or by playing one note at a time or a whole fist full of them. The child is now accumulating musical ideas that can be used to improvise. When the child selects some sounds above others, he or she is beginning to have an expressive intent, though for now it is for an audience of him or herself. Every time a sound is remembered and used again, the child is selecting a musical idea from their memory, and placing into an improvisation. There is not any conscious form or structure yet, but the foundations of music composing are being laid. Before a child can truly compose music, he or she must have a working vocabulary of musical patterns to draw on. Think of musical ideas operating the same way words do. First we hear words spoken by others, then we imitate what we hear and speak those words before we understand what they mean, and then, once we can speak, we begin to associate words with the people, objects, feelings or ideas that they represent. Communicating through language requires a level of aural literacy and eventually written and read literacy as well. Now let’s go back to music. Instead of words, we have patterns of sound. These patterns can be two or three tones such as mi sol, or fa la do. Or, they can be rhythm patterns such as four quarter notes, or quarter , two eighths, two eighths, quarter. A child learns these patterns from rote, chanted to them on a neutral syllable, and then repeated back. When these patterns have become familiar, they are learned by rote all over again, but this time with rhythm syllables. This allows the child to associate the sounds with a label by which to remember, identify, and for now perform specific patterns. After that, patterns are chanted to the students on a neutral syllable, but repeated back by the student with rhythm syllables, or solfege if it is a tonal pattern. This is first done with familiar patterns, then with unfamiliar patterns. Feierabend calls this “decoding.” The teacher might also play the rhythm on an instrument and have the child sing it back with syllables. After all of this, the child is still not ready to truly compose, because they are not yet musically literate in being able to read and write music. The rote process must be started again, but this time for reading. First, students copy music and receive instruction on correct music notational techniques. Even with all the music notation software possibilities, it is most effective for students to write notes themselves on music paper, because it connects the form and placement of the note with the motor and cognitive activity of writing it down, all of which is missing from entering it on a computer or tablet. Once students can copy music, the process of teaching patterns resumes. This time, the patterns are notated on the board or screen, the teacher sings the patterns for the class and the class repeats them back as before, but this time while looking at each note. This is first done with familiar patterns, and then with unfamiliar patterns. The students are now becoming music readers. To become music writers, they can write down from dictation first familiar and then unfamiliar patterns the teacher performs for them. At last, the student will have acquired the literacy to compose music. They also, of course must learn how to use musical elements to convey an expressive intent, and how to convey an expressive intent by generating and selecting musical ideas that are best suited for that purpose. By now, it is clear that composing music is much more sophisticated that randomly playing notes from a pentatonic scale to produce a dissonant-free composition. True musical composition involves the exercising of an array of literacy skills that must be taught and developed before composing can take place. This is not to say that creating music must wait for literacy training to be completed. Exploring and improvisation can and should take place any time, but both should be viewed as not only fun, enriching and creative activities, but also the earliest stepping stones music literacy and to becoming able to compose music. The National Core Arts Standards are written around four artistic processes. For music, these processes are creating, performing, responding, and connecting. How do these four artistic processes translate into what music teachers and students are to do in a classroom? I will take each process and, using the framework (see my post from July 8) unpack each one. In this post, I will begin with creating. Creating is “conceiving and developing new artistic ideas and work.” In order to do this, students “generate and conceptualize, organize and develop, and refine and complete artistic work. These three pairs of actions form a work flow for creating artistic work. The first pair, generate and conceptualize, is the beginning of the creating process. To generate is to bring about a result from applying certain rules and procedures. A generated artistic idea does not come into existence from nothing, but is the result of actions taken with entities that already existed. This can be seen in linguistic where a sentence or phrase is brought about by applying universal rules of grammar to lexical input. Lerdahl and Jackendoff demonstrated that a corresponding situation exists in music whereby an experienced listener intuitively applies universal rules of musical grammar to generate structure in music to which he or she listens. Generating musical ideas, then, involves using what has been learned through experience with music and bringing different ideas to light with the same structures as the music with which the music creator is experienced. This is why a person who has heard Western art music for years, but never heard Gamelan, will generate musical ideas that are structured as and sound Western not Indonesian. From this, we can see that students who are immersed in several musical cultures will be capable of generating a wider variety of musical ideas than students who are immersed in primarily one or two genres. To conceptualize is to envision, imagine; to form an image in one’s mind. When an idea is conceptualized, it is held in the brain in a form which can be remembered, altered, examined, and played with. A conceptualized idea is one that has according to Gordon been audited, and according to psychology on of which a person has made a mental image. A conceptualized idea is one that can be found to be similar or related or parallel to another, making the composing and recognition of variations and developments possible, as well as making it possible for one musical work to remind a listener of another, or to enable a listener to categorize a musical work according to composer, historical period, or genre. Conceptualization requires not only listening experience, but knowledge about music, especially styles, genres, composers, and historical periods and cultures. This kind of knowledge equips learners to go beyond generating an idea and to do something with the idea. In order to create, students also “organize and develop artistic ideas and work.” Organizing artistic ideas follows generating and conceptualizing. Once ideas have been generated and conceptualized, they can be organized into sequences of ideas and developed so that those sequences flow and have breadth to bring enjoyment and expression to the listener. This too requires experienced and knowledgeable listeners. Through their experience with and knowledge of musical genres, students have a basis on which to organize their ideas in a way that makes sense according to musical grammar and well formalness, and according to a plan for the musical work they have made. Students’ intuition about music that sounds “right” can be seen by playing two half phrases from two different musical works that clearly don’t fit together, and observing students’ reaction. They are likely to either cringe or laugh at the music, because it will either sound awful or funny due to the incongruity of the two half phrases. Music has to have a sense of rightness, and that comes from grammatically well formed organization, which is learned through listening experience. Developing music is a product of the same experience. There is always a predictability and balance to well-conceived music. Skilled composers find just the right balance between fulfilling and delaying listeners’ expectations, in order to create stress and release in a satisfying, exciting, and expressive musical work. Finally, in order to create, students refine and complete their artistic work. As a result of experience listening to music, students acquire a sense of what outstanding, good, fair, mediocre and bad music is. Based on this experience, gained through another artistic process, responding, students are able to evaluate musical works, including their own, and conceptualize improvements. Through a cycle of evaluating, reflecting, and revising, students improve the quality of their artistic work until they have realized their intent, and have a musical work ready for presentation to an audience. Once a student composer has created a musical work, it is time for the work to be prepared for presentation, and then to be performed for an audience. This can be an extensive learning experience in itself for a young composer; it is one thing to write down musical ideas, but it is another for someone else to read what is written and understand and accurately perform what the composer intended. Sometimes, if the music is handwritten, it is a matter of legibility. At other times, the music just doesn’t sound like the composer thought it would; that is, the written notation does not accurately represent what the composer had in mind. To design a composing project so that this phase of the process will be as beneficial as possible, it is important for the composer to reflect on the performance with these issues in mind. In order to reflect on and write about any piece of music, it is necessary for the writer to have command of music vocabulary with which he or she can accurately and concisely describe the music. Words that the student should know for this include beat, contrast, dynamics, expression, form, measure, melody, meter, mood, note, pattern, phrase pitch, release, repetition, rhythm, key, contour, style, tension, timbre, unity, and variety. These words all refer to elements the composer should have under his or her control, and be able to use to describe his or her own work. These questions, again from the Connecticut Curriculum web site, address this need. First, if there were any spots that were different from what you wrote, where (give the measure number) was the performance different? What was different? What should have happened? In order to answer these questions, the student must know exactly what he or she intended, and must know how each of the musical elements was used throughout the work. The student can’t possibly know if the performance was accurate unless they know what it is supposed to sound like. If there are differences, the student must be able to recognize where the performance differed from what he or she wrote. This is the easiest of the questions, but necessary before the next ones can be answered. Once the discrepancy is located, the composer must then determine what musical element was inaccurately performed (or inaccurately notated.) Was it a rhythm? A pitch? Perhaps these were all correct, but the expressive intent was missing. This gets into contrast, dynamics, expression, tension and release. Where expression is concerned, It may be that the performer did not follow expressive directions in the score, or it may be that the composer used insufficient markings to guide the performer in realizing the expressive intent. It is not uncommon for students to assume everyone will think of what they though of when they read the score. Unless dynamics, articulations, phrase markings and so forth are accurately utilized, there is no way a performer will know exactly what the composer had in mind. Now that the spots that were different in the performance from in the score have been located, and the musical elements that were involved have been identified, the third step is to indicate what should have occurred at those spots with those musical elements. Do you see how the insight gained in the previous two questions is now needed to answer this third question? Because the composer knows what went wrong, he or she can now explain or demonstrate what it would have sounded like if it had gone right. The composer can also take the opportunity to correct or make clearer the notations and markings in the score, so that the next performance by another musician will be more precise. In my next post, I will discuss three more questions, this time directed at getting the composer to describe his or her own work, and how various musical elements were used to build form. Much like a writer of prose, a poet or a composer ought to have an intent in mind when writing a poem or musical work, respectively. The use of language in a poem can be quite expressive, going beyond the literal meaning of prose, and the notes in a musical work are always expressive because they have no explicit literal meaning. Above the deep structures of poetry and music there is a commonality between these two artistic forms, and it is this commonality that makes poetry and music such frequent and suitable partners in countless songs, where poetry is set to music. That commonality is rhythmic structure, which includes rhythm and meter. Both music and poetry have both of these elements, and because of this, rhythm and meter in poetry can be a tool for teaching and learning musical composition. Because it is late in December, let us take the classic poem “The Night Before Christmas” as an example. Fred Waring and his Pennsylvanians not withstanding, many people naturally fall into a lilting triple meter when they read this poem. Others find a duple meter works, but in nearly all cases students agree that the poem begins with an anacrusis on the words “’twas the.” I recently assigned small groups of students to compose music for one eight-line stanza of the poem. The group that worked on the first stanza indeed settled into a triple meter. They imagined it begin sung by the Chipmunks, and enjoyed swaying to and fro as they sang their creation. The group that did the second stanza, which began “When out on the lawn there arose such a clatter,” enjoyed a duple meter, with eighth notes everywhere except on “lawn” and “clatter.” It took some work for the singer who came up with that rhythm and the student who was working on the beat to agree on how they would fit together, but through the valuable process of talking about it and trying different ways of making it work, they prepared a class performance of their work. The important idea here is that poetry has rhythm and meter, but when setting it to music a composer can choose from several possible rhythms and meters according to his or her intent. Intent is an expressive matter. A composer or poet must have something to express in their work. For “The Night Before Christmas,” I added an annotation in the margins for each eight-measure stanza. Lines 1-8 are “quiet and still” as the household is settled in for their nights sleep. Lines 9-16 are “noisy and busy” as the narrator hears the clattering arrival of the sleigh. In lines 17-24, Santa’s actions and words are recorded. One can imagine the narrator’s emotions changing from surprise and being startled to building excitement as Santa calls his reindeer by name. The excitement, now mixed with some fear builds in lines 25-32 as Santa enters the house. The narrator describes Santa in lines 33-40, and on into the next stanza, which ends with the anxiety and fear subsiding as he says he “had nothing to dread.” Finally, the whole adventure comes to an end as Santa drives off, and the narrator is left with a memory of lifetime. Each of these annotations provides an intent for the student composers. For example, the intent of the composer of the first stanza is to compose music that sets the quiet and motionless mood of a darkened house where everyone is asleep. The intent of the composer of the second stanza is to write a contrasting section that initially startles the listener and expresses the sudden animation of being roused from bed and slumber by a sudden noise that demands investigating. By using what the poetry provides, the composer goes beyond merely setting words to music. Composing music for lyrics requires more than just finding rhythmic and metric matches for each syllable; the intent of the poet becomes the intent of the composer as the latter attempts to clarify and magnify the expressive affect of the poetry with the adding of music. When done well, it sounds as if the poetry were written especially for that music, and only that music could be used. Because the first idea that comes to a composer’s mind is often not the best that will come to mind, it is essential that students generate as many possibilities as possible, and then, choose the one that bets expresses the intent. Working in groups is helpful for this, because groups of students can generate more ideas, and therefore have a better selection of ideas from which to choose. In the process of composing from and for a poem, students learn how to use music to be expressive in a way that exceeds or at least is comparable to how they use language. I will be away from Mr A Music Place for the Christmas and New Year holidays. My next post will be on Friday, January 2, 2015. Have happy and safe holidays. One of the challenges that often face music teachers is a tension that develops between students playing music they enjoy, and teachers who want their students to play music that facilitates growth in musicianship. Often, this comes down to the teacher wanting the student to play classical music, and the student wanting to play popular music. Many teachers take the attitude of accommodating their students with a sort of compromise, where if the student will practice a classical piece, the teacher will allow the student to prepare a popular piece for a portion of the lesson. While this arrangement is workable, there is a better way. The core arts standards for music include a content standard for selecting under the artistic process of performing. The enduring understanding (EU) is, “performers’ interest in and knowledge of musical works, understanding of their own technical skill, and the context for a performance influence the selection of repertoire.” The essential question is, “how do performers select repertoire?” This immediately brings an aspect of music teaching that often is overlooked: teaching students how to select repertoire is one of the responsibilities of a music teacher. When the teacher selects all of the repertoire, or has an overriding influence on selection, the student never learns how to independently make these choices. The standard includes three areas for the performer to consider when selecting repertoire: interest, knowledge, and technical skill. All three can be developed through further study, so sometimes a student may select a musical work from interest, but realize that s/he needs more technical skill in order to realistically begin practicing the piece. This can be an excellent motivator for working to develop technical skill, and for the teacher to assign exercises and repertoire to accomplish technical growth that the student might not otherwise be receptive to learning. On the other hand, a student may select a musical work based on interest and find that they have plenty of technical skill to play the music, and can successfully perform it with very little practice. These selections are valid for the student to simply enjoy music making, without attempting to grow or improve from the experience. We all enjoy just sitting down and playing or singing music without always working on things we can’t yet play fully. Selecting on knowledge can be a way for students to discover and explore new pieces within a familiar idiom. A student may be knowledgable about minuets, but perhaps has only played those of Mozart and Haydn. What about minuets by other composers? What about related forms such as Landler, waltz, scherzo and polonaise? For the teacher’s part, one should sometimes take the approach that the skill or concept to be taught is more important than the musical work chosen. For example, if a piano teacher wants to work on developing independence of hands using a broken chord accompaniment, she might use Schubert’s Waltz in A-flat major, D. 365, but she might also use the song “Let It Go” form the movie Frozen. The student may practice “Frozen” much more, and learn the skill much better than if they must learn it from the Waltz. 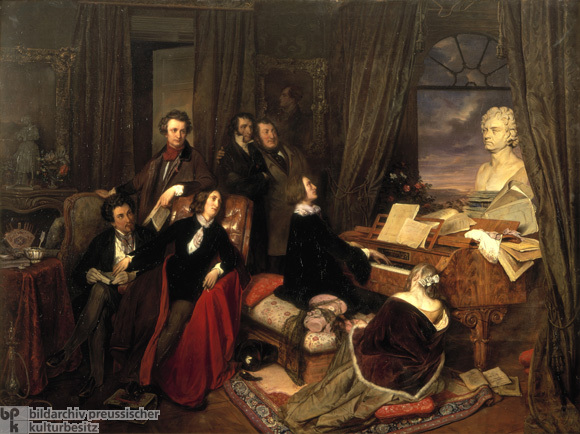 The teacher can then show the student that Schubert used the same kind of writing almost two hundred years ago, and perhaps interest the student in playing Schubert to after building the skill on the easier popular song. This makes the inclusion of popular music and classical music part of a holistic approach to music teaching, and makes it possible for the student to evaluate their own needs and interests while considering repertoire possibilities. We shouldn’t feel as though we must indulge in our students’ musical tastes in order to hold their interest, but instead look for opportunities for better, more effective instruction by using the music they are interested in to build concepts and skills. If the music they select is consistently “too easy” for the growth the teacher is looking for, add value to those selections by having the student improvise on their selection, thereby incorporating more advanced technical opportunities, or even compose variations which the student must then play. Judging music a student wants to play as inappropriate or as only a reward for good behavior practicing classical pieces promotes a musical narrow mindedness that is contrary to one of the goals all music teachers should have, that of teaching a diverse repertoire. One of the reasons teaching music reading and writing is so challenging for students and music teachers is that music is not used nearly as often as a basis for thought and actions. Every action begins with a thought, and thoughts are generally pictures or words; images or descriptions. Music for most people is something we hear and even understand in a musical sense, but not the form in which our thoughts are made. This condition is reinforced often, even in a music classroom. For example, to respond to music, students are often asked to write about music that is played for them in class. Regardless of the specifics of the assignment, the students are responding to music with words, not in kind with music. If students are going to excel at reading and writing music, they must get to the point where they are thinking in music—what Gordon calls audiation. One example of how this can be done is finishing musical thoughts. The teacher plays the beginning of a musical phrase (called antecedent) and then asks a student to complete the phrase (called consequent) by improvising it on a barred instrument. If the student’s response is restricted to notes of the major pentatonic scale, to the same rhythm as the antecedent, and to starting on sol and ending on do, students who have been taught to sing a pentatonic scale with solfege can think of consequent sub-phrases at the same time the one student is actually playing one. They can be cold-called to sing or play their idea before or the performing child to assure they are all actually thinking of ideas, and to prevent the other students from copying the performing child’s consequent sub-phrase. Other opportunities for questioning and answering can further engage students in thinking music. When the class is singing a song, an individual can be called on to sing the next phrase. A child can be asked to sing the first phrase of a song they remember singing last class. After hearing a familiar phrase with an intentional error, a student can be asked to locate the error and perform the phrase correctly. Improvising variations, and even playing “name that tune” are all activities that engage students of thinking in music instead of words. Unrestricted improvisation is another tool. The teacher sings a short musical phrase on a neutral syllable, and the student sings back a different phrase of the same length. At first, students will repeat what the teacher has sung, which isn’t all bad, because doing so requires audiation as well. But even if the child only changes one note, that one note is an original musical idea, being connected to another idea that the teacher generated. 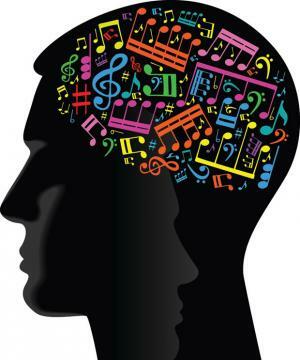 Playing or singing anything from memory is also a good use for thinking in music. So far, I have only discussed melodic thinking in music, but thinking in music can also take place rhythmically. The teacher can play an antecedent sub-phrase on a drum, and the student answers with a consequent sub-phrase, also on a drum. Devising complementary rhythms is another worthwhile activity. Students often find it challenging to play a rhythm on a drum with any “windows” in it. Their tendency is to play through without breath or pause. Learning to leave musical space and imagining what might fill that space from another player is powerful thinking in music, and another student, in filling that window and then creating space elsewhere is equally beneficial. These strategies are addressed excellently in Will Schmid’s World Music Drumming. I have saved the most obvious activity for thinking in music until last, because it is the most obvious: composing. 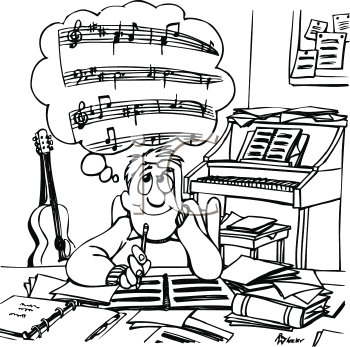 Students think in music when they write down original musical ideas. Not all composing done by students in music classes is thinking in music. Anytime note or rhythm selection is arbitrary, the student is doing nothing more than making a piece of visual art on a music staff. But when the student writes down a note and knows what it sounds like, and what groups of notes he or she has written down sound like without having it played or sung for them, or without playing or singing it themselves, then that music that is written down on that paper is the product of thinking in music. Students should only compose what they can audiate. For this reason, they should not be allowed to compose before they can sight sing, because without sight singing skills, it is impossible for them to know what they are writing down. Music teacher should take every opportunity to get their students thinking in music. Handling music like language (though not necessarily considering it to be a language) through questioning and answering in music, teaching sight singing, and guiding students through audiated composition projects should be done at every opportunity. One of the musical structures we must teach our students is that of phrasing, or what Lerdahl & Jackendoff refer to as grouping. Basic to musical phrases is the concept of antecedent and consequent phrases. Antecedent phrases are complete phrases that end on a pitch of relative instability or tension, resulting in the listener expecting continuation, even after the performer takes a brief pause or breath. Consequent phrases are also complete phrases, but they end on a pitch of relative stability or relaxation, resulting in the listener recognizing the conclusion of the musical thought. Themes, sections, movements and works end on consequent phrases. Very often, consequent phrases end on the tonic, and antecedent phrases end on the dominant. Because antecedent or consequent phrases are defined primarily by the harmonic function of the last note, they are most effectively taught by holding rhythm constant while giving students creative license with pitch. The only stipulation is that the consequent phrase must end on the tonic. It is also possible that students can use elaborative notes in the consequent phrase. Take the melody “Mary Had A Little Lamb” as an example. Structurally, the first line is a reduction of the second. The quarter notes on beats 3 and 4 of the second measure of the second line reduce to one half note in the first line, and the quarter note on beat 3 of the third measure in the second line is an upper neighbor tone that is omitted in the reduction, in which a half note on D occurs. The last measure of the first line could be reduced further to a whole note on G, the dominant. In its reduced form, the second line is identical to the first except for the last note; the antecedent ends on the dominant and the consequent ends on the tonic. Students can be given the first line, with the further reduced last measure, and then asked to write a consequent phrase ending on the tonic pitch. They would be at liberty to write any diatonic pitches, but to maintain the rhythm of the first line exactly. One possible solution is given below. Prior learning will include voice leading, analysis of stylistic elements, and skill at audiating so that students do not write down random notes, or notes that are stylistically incompatible with the antecedent phrase provided. Doing this activity with antecedent phrases of different styles and genres provides the opportunity for students to learn about and compare each style or genre represented. Assessment would include ending on the tonic, maintaining the same rhythm preserving the same style, using diatonic pitches, and observing good voice leading. If student work is handwritten, assessment could also include accurate forming of note heads, stems, measures, clef, and time signature, and the correct number of beats in each measure. Students who do the work on music notation software should nevertheless be asked to demonstrate understanding of notation conventions such as correct length and direction of note stems, and of the metrical arrangement of notes within measures. Technology should never allow students to bypass the learning of concepts. A great deal of learning can result form this one activity. Phrase structure, style, genre, and notation are all closely related issues in music. This activity fosters an efficient use of time because all of these can be addressed at once in a practical, relevant way; students need to know about and apply their knowledge of style, genre and music notation in order to gain a deep understanding of the target concept, that of antecedent and consequent phrases. In this, the third and final installment in my series on educating the whole person and music, I will discuss the social and ethical pathways identified by Comer, and the intra- and inter-personal intelligences that Gardner found. There is perhaps no greater purpose to music than for one person to relate to another through the expressive nature of music. While a student may spend hours, days, and months preparing a performance, learning many things—fingerings, bowings, rhythms, and pitches among them—these things in and of themselves do not get at the heart of music. 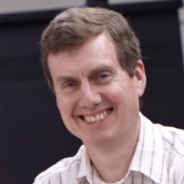 Roesler (2014) has observed that musical goals get at the expressiveness of music, and are by nature interpersonal. The expressing of emotions and the sharing of a musical experience with an audience (interpersonal) or even with one’s self (intrapersonal) utilizes the social pathway, and helps with self-understanding and self-expressiveness. The goal of expression becomes the focus, and what were goals of developing technique are conceptually shifted so that they are now means to an end; technique in order to express. Performance is not the only form of music making in which students engage, and it is not the only opportunity they have to be creative and expressive. Composing and improvising are powerful tools in teaching students to convey musical meaning. Composing is a largely untapped resource in American schools. According to findings in one study, less time was spent on learning activities related to composing then those related to other musical activities (Orman, 2004). When a student creates music, s/he is not interpreting music to ascertain the composer’s expressive intent, but is interpreting original ideas, thoughts, expressions and emotions with a relevance and immediacy that cannot be attained with another’s work. A composer is using music to communicate to another person what they are thinking, imagining, and feeling. People for whom the original composition is performed are connected with the composer in a potent and highly personal way. When interactive music making in involved, either by the composer’s design, or because two people are trading improvisations, that bond is even more profound, because response and feedback in a purely musical way is possible between both performer/creators. While a composer may also be the performer, with improvisation, the improviser is always the performer. There is a side to performing and creating expressively that also utilizes the ethical pathway. One of the greatest challenges in teaching the children in my urban school district is the difficulty the children have with empathy. They do not appear to be able to understand what another person is feeling, or how their own actions affect others. Music is invaluable in helping with this. Because musical performance and composing is by design intended to communicate a feeling or elicit a response, the connection between what the performer does and the affect on listeners is accessible. Students can see first hand how what they create musically affects how others who hear their music feel or behave. Connections can then be drawn between music and other actions the students might take, and how they too affect others. There is a component of this concerning students as listeners, too. When student listen to music, they often are trying to modify their own emotions, either by changing how they feel, or understanding or confirming how they feel. This connection students have with music can be likened to the connection the students have with others. Just as they seek out music to help them feel better, they can be a force in the lives of others who can be sought out for good. The natural connection between an individual and music, and between an individual and others is important to healthy childhood development. Music education is key in educating the whole child. Nowhere in the typical school curriculum is there a discipline that touches a child’s physical and psychological make-up in as many places as music. Music reaches the body, mind, soul and spirit. It elevates a person to a level only attainable by humans, and that largely because of the glorious invention and implementation of one of mankind’s greatest achievements: music. Orman, E.K. (2002). Comparison of the national standards for music education and elementary music specialists’ use of class time. Journal of Research in Music Education, 50(2), 155-164. Today, one of my eighth grade classes was composing percussion ensemble pieces. They had begun their works last week, and were continuing composing today. As I circulated through the class, looking at student work and pointing out notational issues that needed to be corrected, I was reminded of how many students make the same errors, even though the material has been taught several times, and was taught often in earlier grades. Perhaps some of these errors are familiar to you from your students: eighth notes with the heads not filled in, an incorrect number of beats in each measure, and beats not lined up vertically in the score. Each student heard my correction, and eventually corrected the notation on their scores, but I sensed that they really didn’t grasp why beats had to be lined up, and why there needed to be a certain number of beats in each measure. I found that lack of application was leaving my students’ learning incomplete. The activity was planned so that while the students worked on their compositions, even if I hadn’t looked at their notation yet, they could get up with two friends (the pieces were for three instruments) and try out their composition at a “try out corner” where a full compliment of instruments was set up. Students who had not corrected their notation and who went to the try out corner had to deal with their incorrect notation in performance. These students, unlike the ones who only corrected their notation from their seats, quickly understood the repercussions of not having the same number of beats in all staves of a single measure. They couldn’t continue in their performance, because the part with not enough beats always got ahead of the others. They realized why all of those measures had to have the same number of beats: so that all the parts would fit together and come out right on each beat that followed. The application of “how to” was needed to complete the learning sequence. Those that hadn’t played were just following directions, but they weren’t able to understand why following those instructions was necessary. Students can learn about, or learn how to do many things in music, but until they actually do the thing, learning can be too abstract to be truly understood. If, as David Elliott claims, music is something people do, then it must be in the doing of it that students come to truly understand music. While it is possible to compose percussion parts mostly from mathematical processes—placing the right number of beats in each measure—there are other considerations that may not become apparent until musical processes are applied. Doubled rhythms create strength and bring out a part, complementary rhythms create a transparent texture that allows multiple parts to be heard, and a mixture of metrical and phenomenal accents creates metric tension that cannot be seen on the page. That the learning is in the doing is probably evident to most when it comes to playing an instrument. Few if any would attempt to learn to play an instrument just by reading or learning from a teacher how to play. Most if not all would recognize that they must actually play the instrument to learn to play it. Music listening is also learned by doing. Some aspects of music are intuitively understood from listening once a musical idiom has become familiar. Hearing patterns of tension and relaxation in music and detecting meter are probably accomplished intuitively with culturally familiar music. For other aspects of music, such as motivic development and theme and variations, students learn about and learn how to first, and then practice listening to gain proficiency in hearing these devices. No one learns how to trace a theme through a set of variations just by learning about the form. The person must actually listen to variations to understand them. Notice that for each of these ways of making music, multiple competencies must be employed to gain understanding. The composer must also perform, the performer and the listener must also analyze and interpret. When students or teachers try to isolate these things, learning is bound to be incomplete and confused. The applied teacher must not just teach performance, but analysis and interpretation too. The music appreciation teacher must not just teach listening, but analysis, interpretation, music history and music theory too. The composition teacher must not just teach compositions, but interpretation, analysis, performance, and theory too. 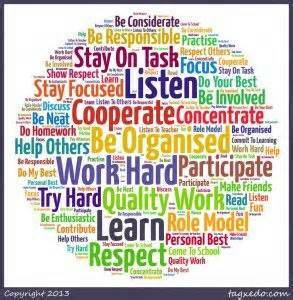 In each case, the teacher must not just teach about or how to, but also provide the student with opportunities to do. In music, the learning is in the doing.